Dragon's tired of being ferocious. He wants a simpler, kinder life. 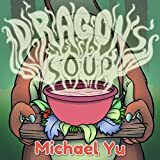 Follow along as Dragon uses his "soup" to teach a community of forest animals how to share and help each other. A fun children's picture book story with a perfect moral note. Another favorite Michael Yu children's book! Who is the man behind the mask? When everything is taken from him, Detective Adam White must choose what's most important. Does he stick to the heroic ideals which made him a famed paragon of justice and take down a murderous madman? Or does he give in to his vigilante impulses, avenge his wife's murder, and become the type of killer he's hunted for so many years? Deathwatch is a roleplaying game set in the Warhammer 40,000 universe, where you take on the role of a member of the Adeptus Astartes - the devout, bio-engineered super-soldiers also known as Space Marines. Only the most exceptional candidates from the fighting forces of the Adeptus Astartes are invited to join the Deathwatch, and take on a new oath to safeguard the Imperium from the darkest of threats. United in this newly forged brotherhood, all Deathwatch Marines must learn to put aside their differences and work together to succeed in the most extraordinary operations - whether facing the threat of total annihilation when confronted by implacable alien foes, or fighting against the foul daemon menace that crawls forth hungrily from beyond the Warp. Deathwatch offers a brand-new roleplaying experience by focusing on elite, special-missions style action at the furthest fringes of Imperial space, involving some of the greatest heroes and deadliest opponents the Warhammer 40,000 universe has to offer! Unleash Your Vampire Powers and Rule the Underworld! BradyGames' Vampire: The Masquerade Bloodlines Official Strategy Guide includes coverage of all the story-driven quests. Coverage of the 7 different vampire clans and 12 vampire powers, plus online battle coverage with a variety of team-based mission objectives. Detailed listing of all items and weapons. Tips for interacting with characters, forming alliances and uncovering plot points and story information. Vampire: The Masquerade Bloodlines plunges players into the dark and gritty vampire underworld of modern-day L.A. as a creature of the night. Players will develop their character's powers, interact with other characters and embark on story-driven quests as they battle mortals and other vampires with an incredible array of vampire powers and weapons. Powered by Valve's Source Technology, the same technology used to power Half-Life 2, Vampire is being developed by renowned RPG developer Troika Games and is based on White Wolf's popular Vampire: The Masquerade pen-and-paper RPG series and its official clans.Players will journey into the World of Darkness, the vampire underworld of modern day Los Angeles, from thumping rave clubs and the secret underground caverns of Downtown to seedy hotels and exclusive mansions on Hollywood's infamous Sunset Strip.Not Final Cover. Activision Inc., headquartered in Santa Monica, California, maintains operations in the U.S., Canada, the U.S., Canada, the United Kingdom, France, Germany, Italy, Japan, Australia, Scandinavia and the Netherlands. Showcasing the grim and chilling artwork behind the fan-favorite Dark Souls game in a gorgeous hardcover collection, Dark Souls: Design Works features key visuals, concept art, character & monster designs, rough sketches, and an exclusive interview with the game's creators. Of all the travel agents in all the cities of the afterworld, the trouble had to happen to Manny. Includes a Rufous Mudcrab pet DLC! Explore Morrowind with the Rufous Mudcrab! This faithful pet will be by your side as you explore all corners of Tamriel. 27" x 27" Vvardenfell Map Poster: Features all important locales and resources. Concept Art Gallery: Striking images of the new expansion. An Atlas of Vvardenfell: From the shores of the Bitter Coast to the hills of the Grazelands, every major point of interest is called out and cataloged for your reference. A true travel guide for the Morrowind expansion! This Nintendo Player's Guide for Chrono Trigger is the only Strategy Guide made for the Super Nintendo release of the great Role Playing Game, Chrono Trigger. This guide will help you get through the game quicker, help you if you're stuck, or help you find more secrets in this great game. 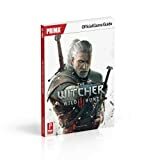 Comprehensive Walkthrough - This massive strategy guide features everything you need to complete all quests, upgrade to the best gear, and craft the most powerful items. Complete Bestiary - Detailed descriptions of every foe that Geralt will face on all of his adventures. Learn the strengths and weaknesses of every enemy to counter their attacks with lethal accuracy and dispatch them with cat-like grace! The Ultimate Guide For Your Journey - Discover every important destination in the game! Learn the location of every Witcher Class Item, Relic, Place of Power, Monster Nest, Hidden Treasure, and more! FREE Mobile-Friendly eGuide - Enjoy all the content from our printed strategy guide in a convenient, easy-to-use digital companion. The endless Blood War rages, a never-ending battle between the fiends of the planes. Amid this horrific conflict, a single hero with no memory of his past seeks to discover his true identity. Of course, this being the planes, his companions on his quest are ... unusual. But if you can't trust a floating skull, an eccentric investor, and a succubus, who can you trust? Based on the best-selling computer game from Interplay. Final Fantasy VII Strategy Guide & Game Walkthrough – Cheats, Tips, Tricks, AND MORE! After completing his training Link begins his journey to find the remaining Sages. Meanwhile, Ganondorf continues looking for Princess Zelda and plotting to capture Link with the aid of the witches known as Twinrova. At the urging of the mysterious Sheik, Link enters the Haunted Wasteland to find Zelda. The journey will be dangerous, but Link is determined to overcome Twinrova's traps and survive to face Ganondorf in an epic final battle!